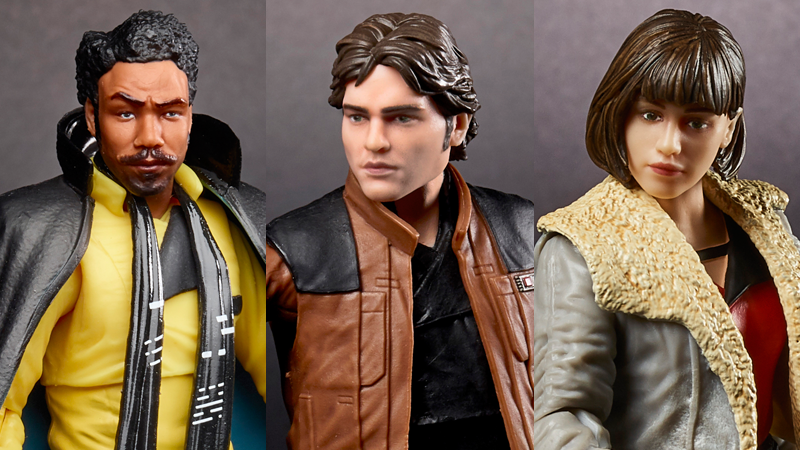 A new Star Wars film is rapidly approaching us—which means that a whole wave of toys and merchandise is approaching us even faster, ready to bring all the characters and moments of Solo: A Star Wars Story into plastic things you can buy. Ahead of New York Toy Fair later this week, we’ve got a special first look at just a few out-of-this-world figures. All four of these figures will be available from retailers and online at HasbroToyShop.com this spring. For more Star Wars toys and the latest from New York Toy Fair 2018, stay tuned to io9 and Gizmodo this weekend.